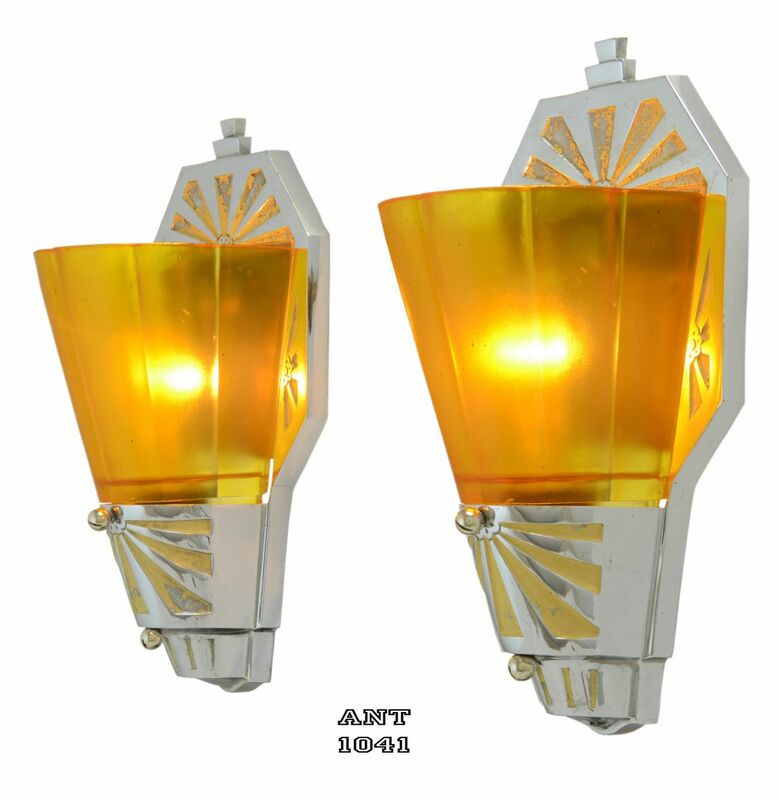 Very impressive nickel plated sconces, Circa 1935+. 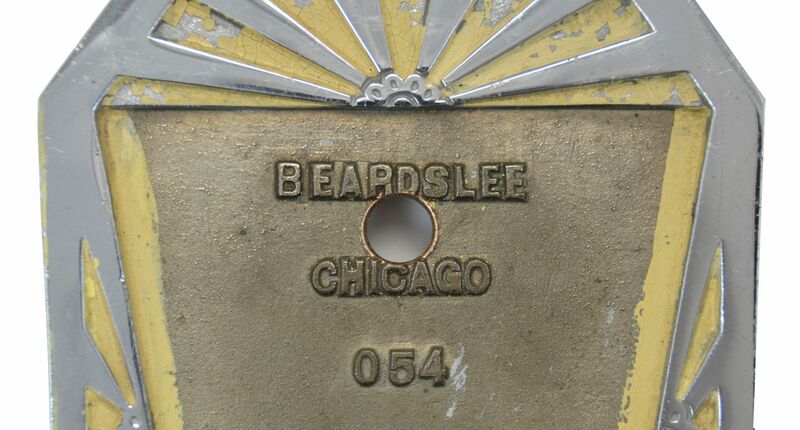 Each backplate has the impressed mark of Beardslee who bought out the company: Williamson. 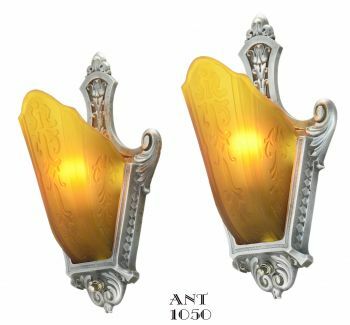 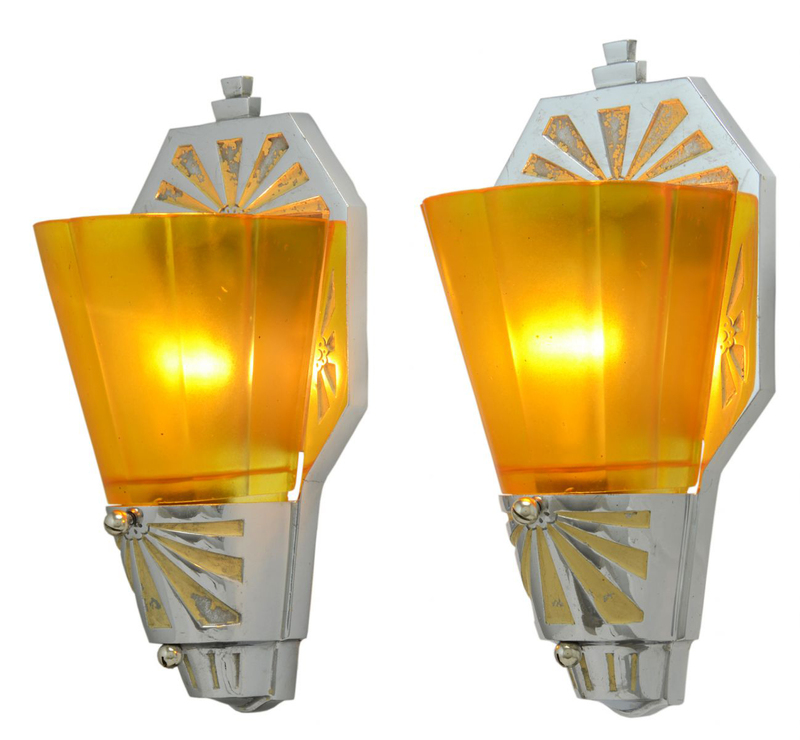 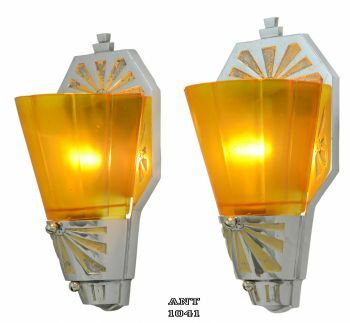 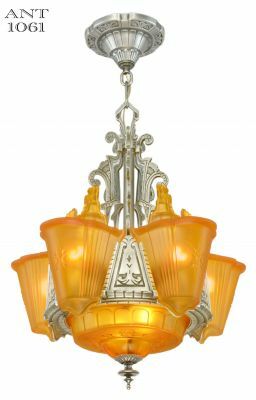 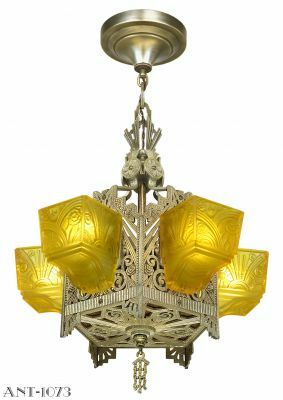 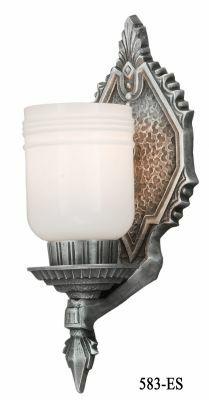 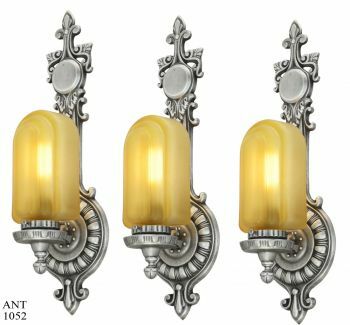 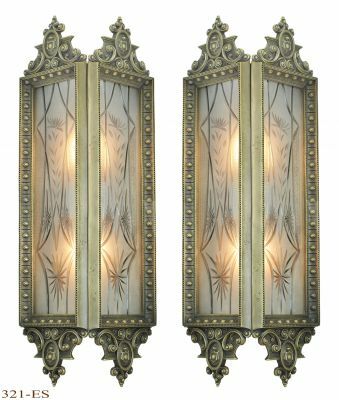 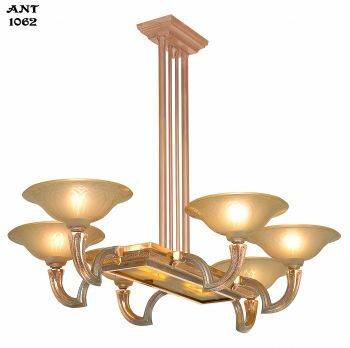 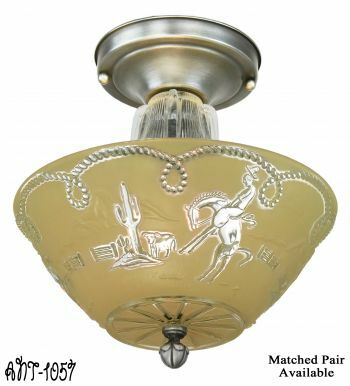 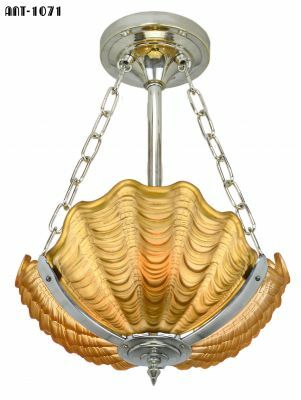 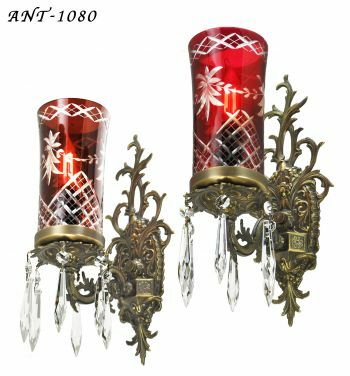 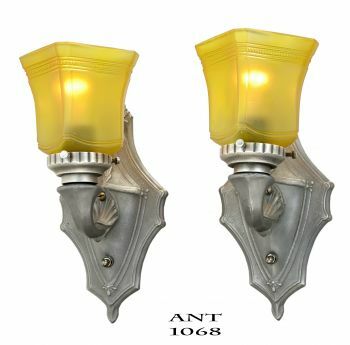 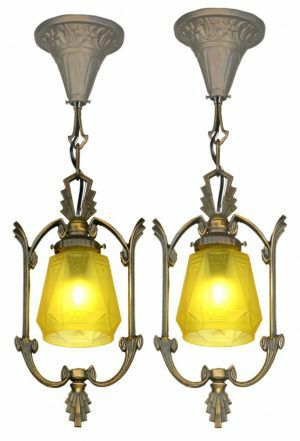 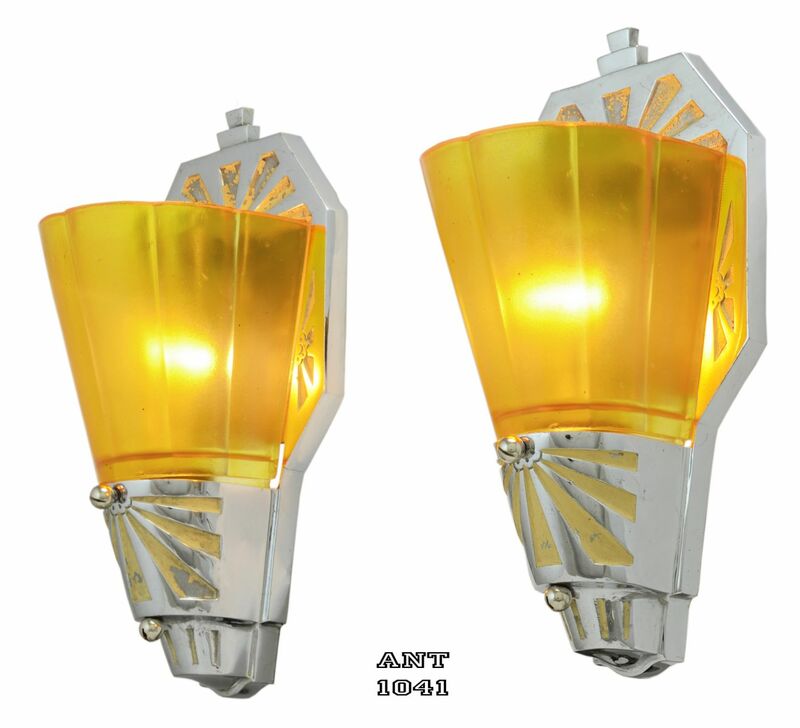 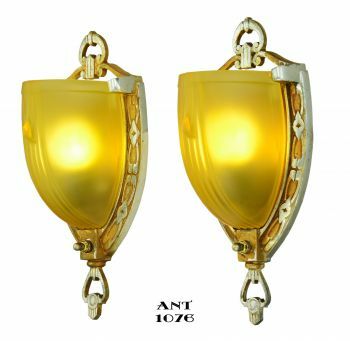 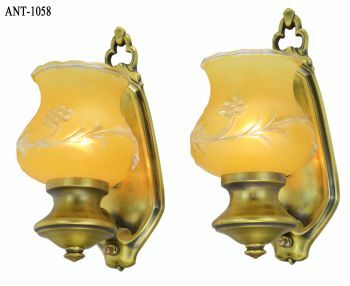 These two sconces are heavy cast metal, and then, nickel plated with drop-in panels of color. 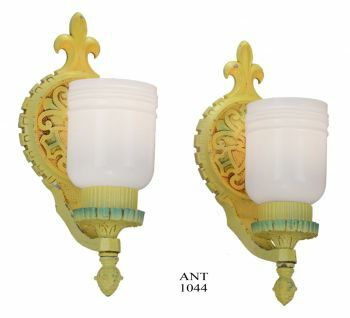 The condition of the paint, in those panels, can be seen and the new owners can decide whether they want to re-new this color or leave as found in their antique condition. 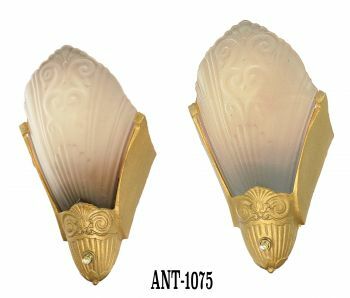 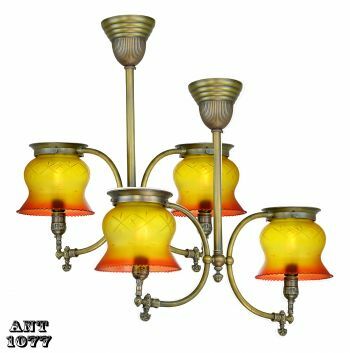 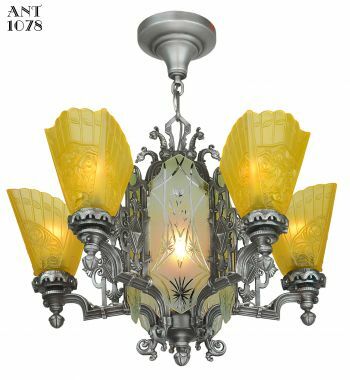 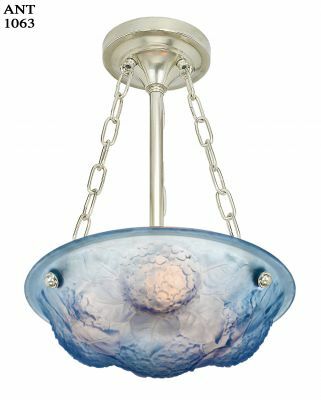 The shades are a plastic or acrylic of some type and are held in position by that nickel plated ball screw that can be seen in the pictures. 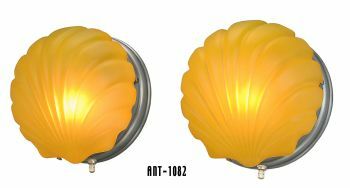 Usually, the shades are broken by over-tightening of this ball screw. 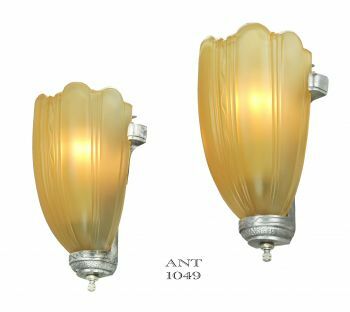 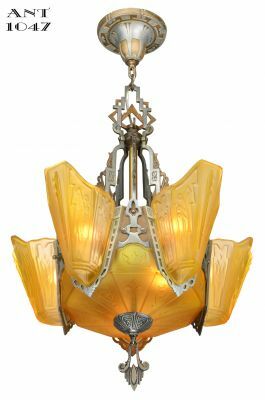 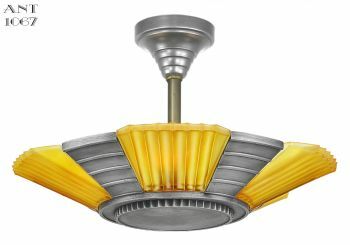 We completely re-wired these sconces in our UL shop and they just stand out as a complete Art Deco streamline statement with their shaped backplate and surface design. 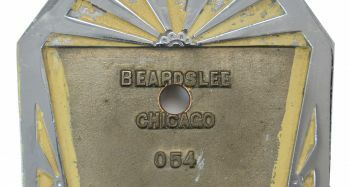 Measurements: Overall height is 9 1/2”. 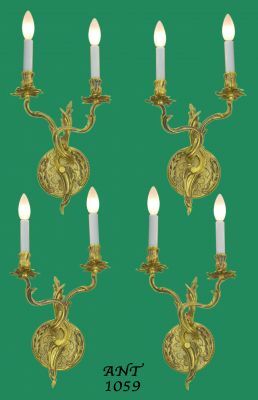 The width is 4 3/4”. 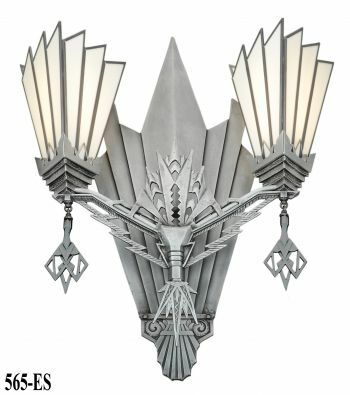 They project into a room a mere 4”. 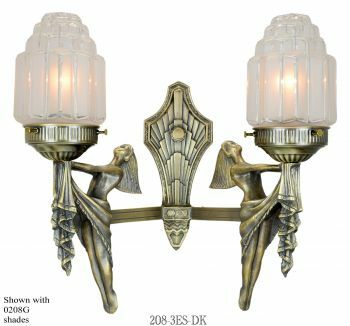 All mounting hardware will be supplied with these sconces. 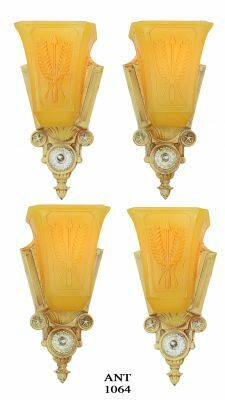 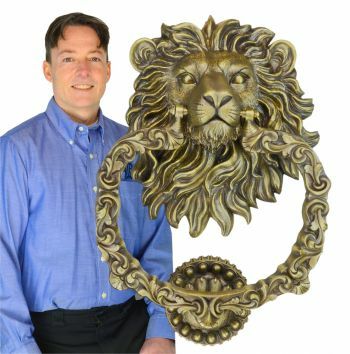 Price: Pair of Signed Beardslee Sconces: $550.00 pair plus careful packing and shipping charges.